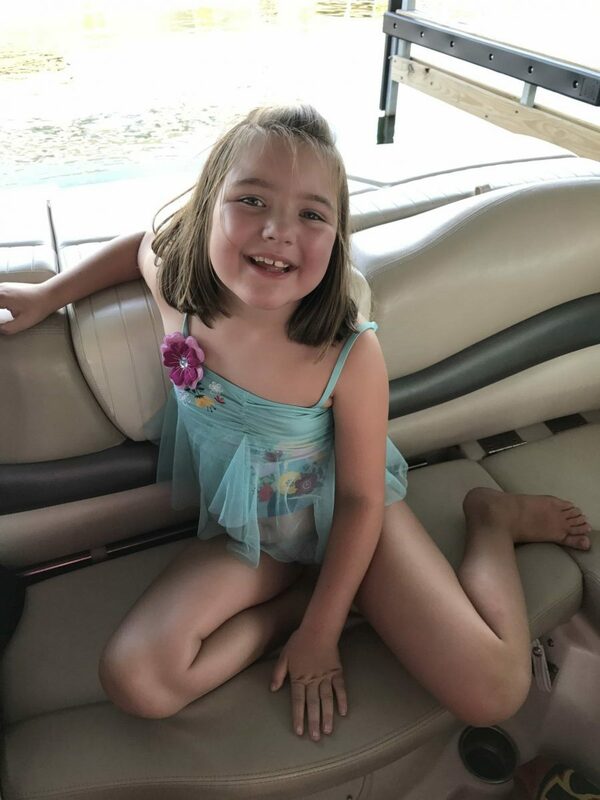 One thing my daughter looks forward to all summer is going boating and camping at Campbell Point on Table Rock Lake near Shell Knob, Missouri, with Grandma and Grandpa. Can you blame her? 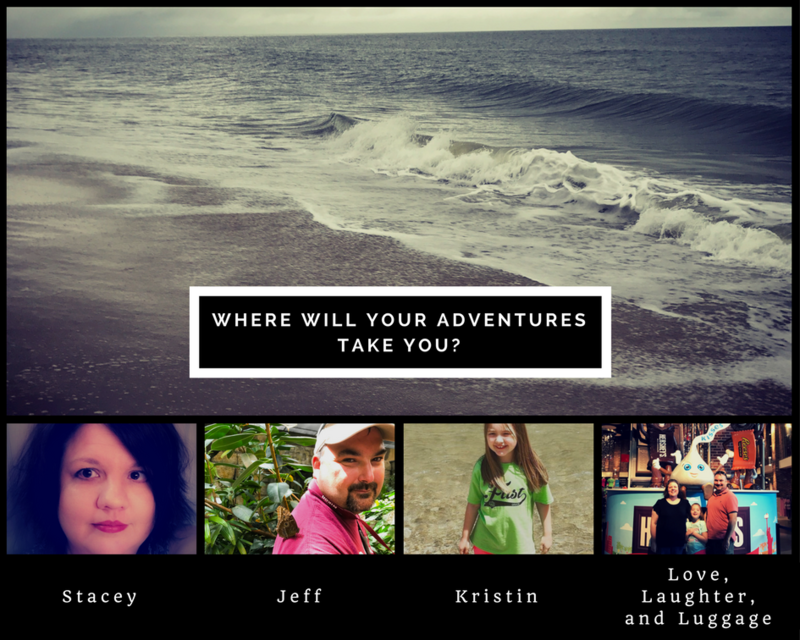 For a seven-year-old, sleeping in the camper is an adventure! And it doesn’t get much better than riding in the boat with the wind in your hair and the sunshine on your skin. 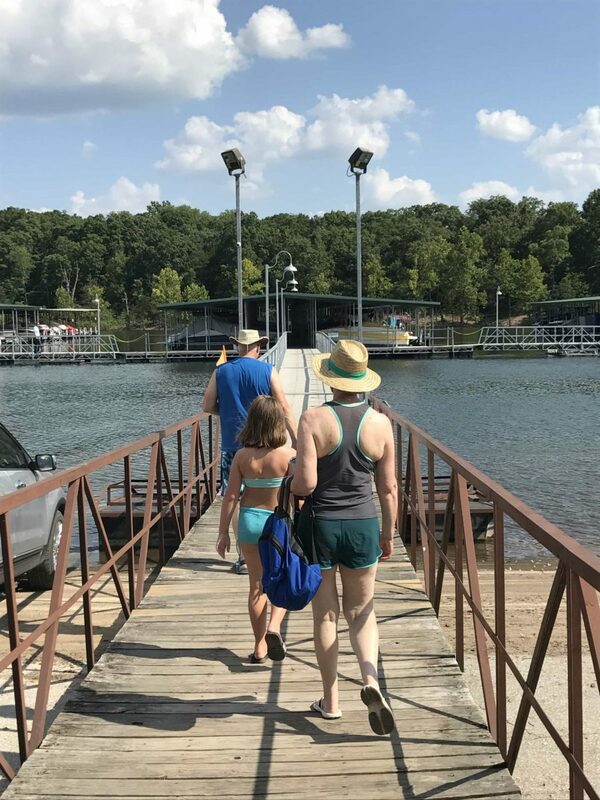 Going to Table Rock Lake is a family tradition! 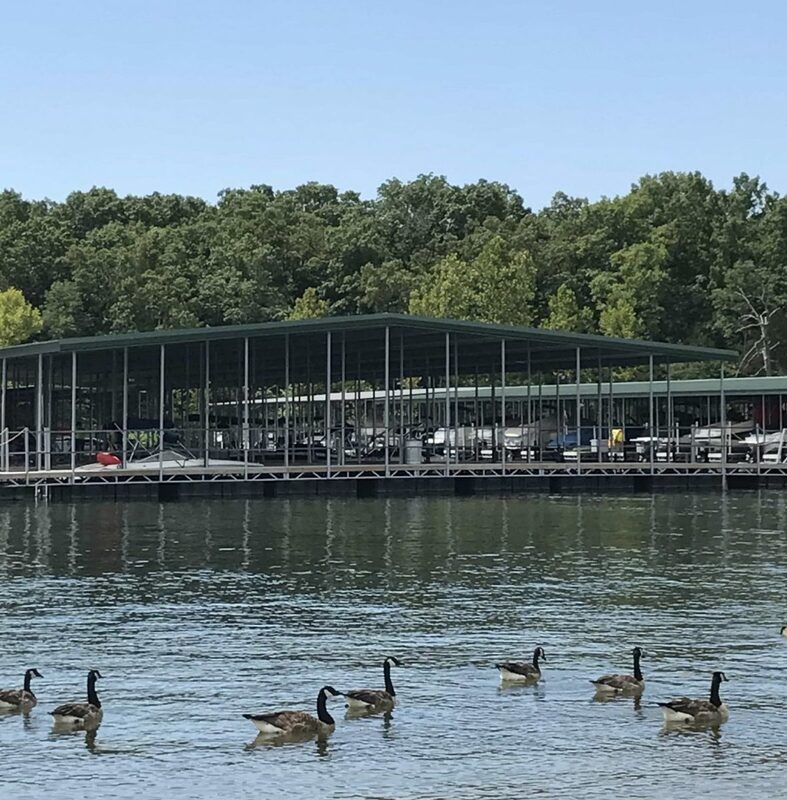 If you enjoy camping or boating, Table Rock Lake is a great place. 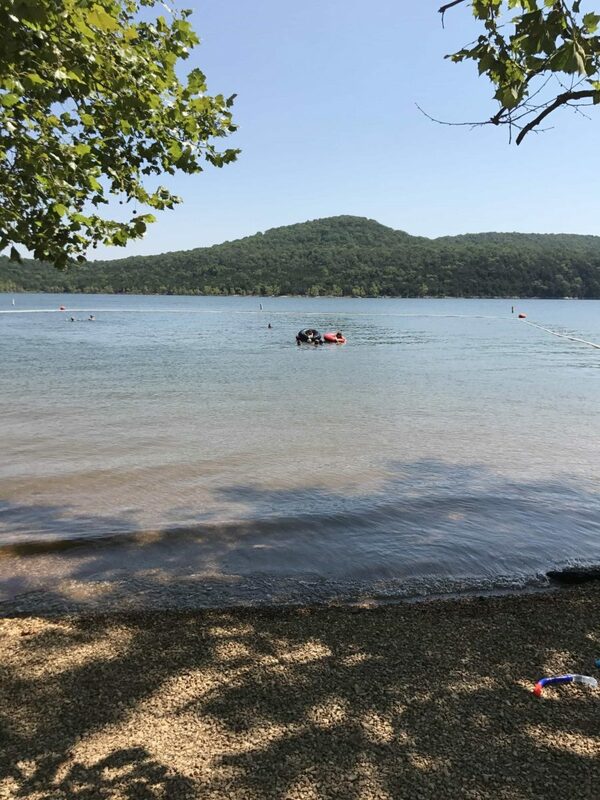 The lake is clean and clear, and the campground is nestled in the Ozark woods. My parents enjoy camping at the Army Corps of Engineers Campground at the Campbell Point Marina. Some of the sites are even lakeside. 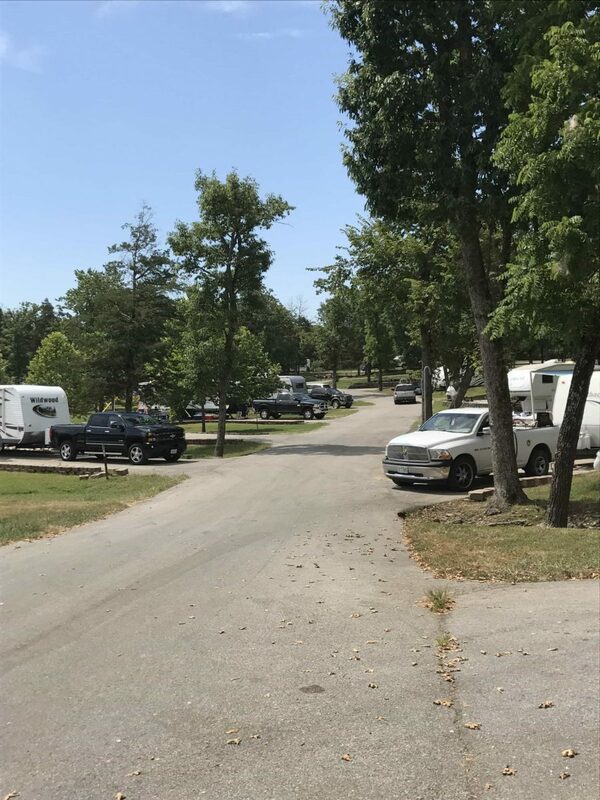 Click here to see a map of the campground. My parents like to camp in the more wooded area at the full hook-up site. Campbell Point Marina is a relatively new full-service marina. 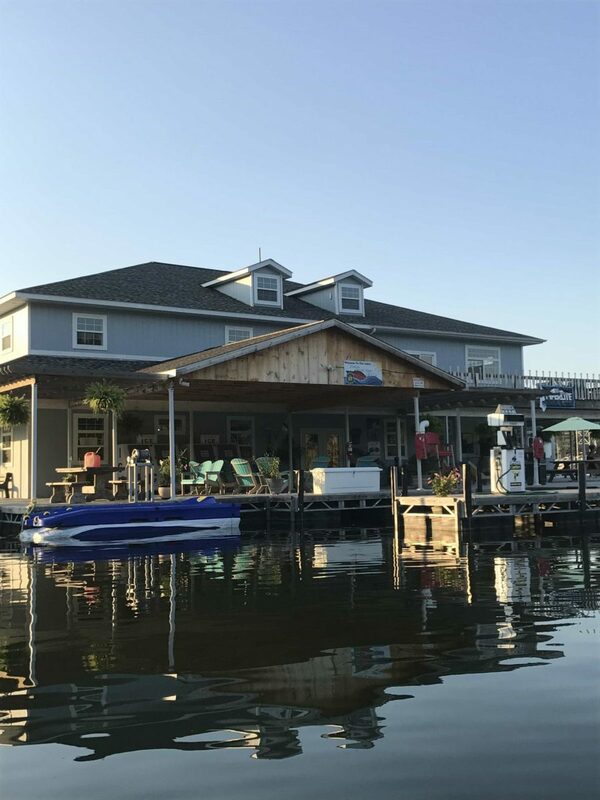 You can rent boats, boat slips, and jet skis there as well as purchase boating and camping supplies. The town of Shell Knob also has a grocery store and a Dollar General if you need something they don’t have. 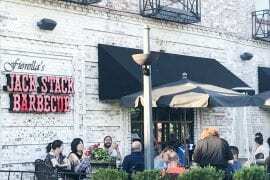 It is a fun place to check out. 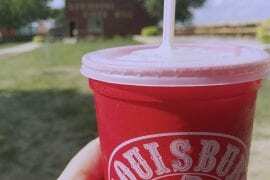 They have clothing and accessories, and they also have ice cream. It’s fun to look around at the t-shirts and other lake items. There are many slips for rent, either long-term or for your stay at Campbell Point. 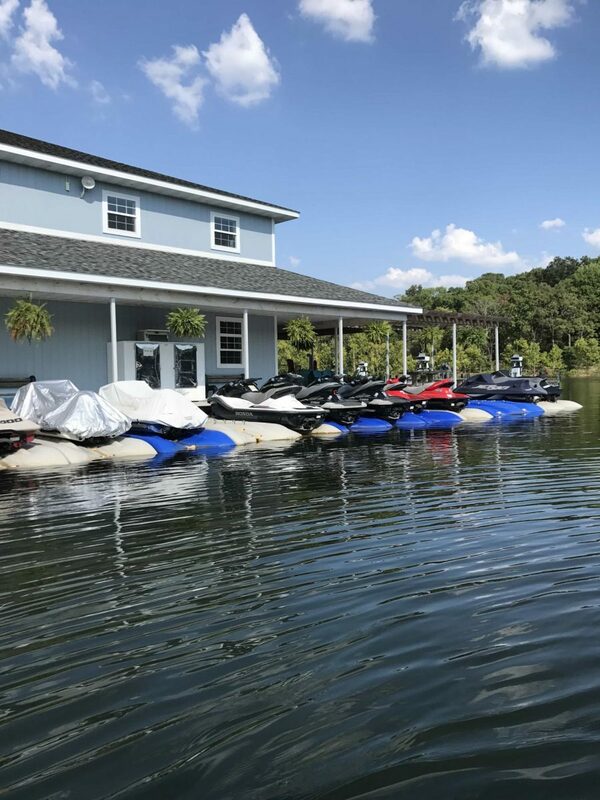 Here are the Jet Skis for rent. You can also purchase gas for your boat from the marina. My parents had been camping already for a few days, so when we arrived, we were able to head straight to the lake! When walking to the boat, Kristin likes to look for the minnows in the shallow water. We also saw two turtles swimming along here our first day. And the ducks and geese are always nearby. 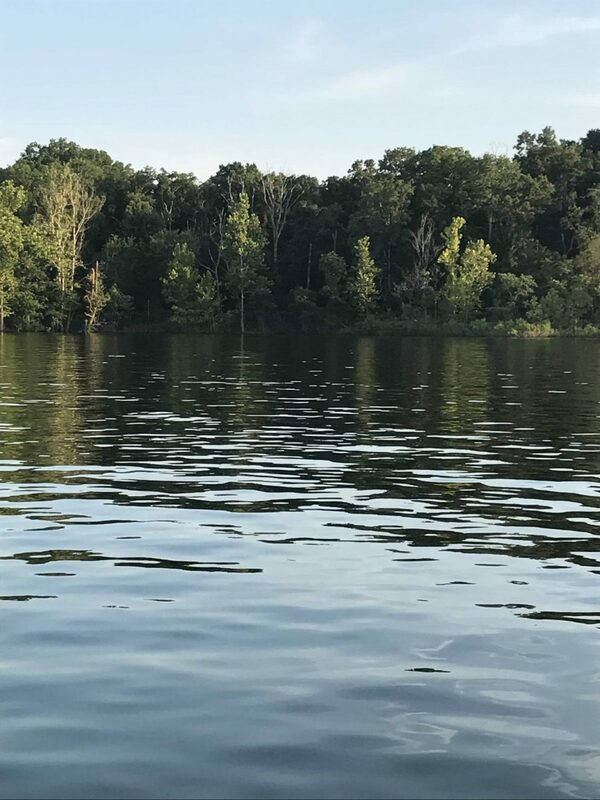 Before long, our boat is gliding across the water surrounded by the gorgeous Ozark hills. My mom likes to water ski on really smooth water, and there are plenty of great spots where the water looks like glass. Of course, when there is a lot of boat traffic, the water can be choppier. Plan to boat during the week for less traffic, if possible. If boating isn’t your thing, there is a swimming beach at Campbell Point. For your convenience, there is a shower house nearby. 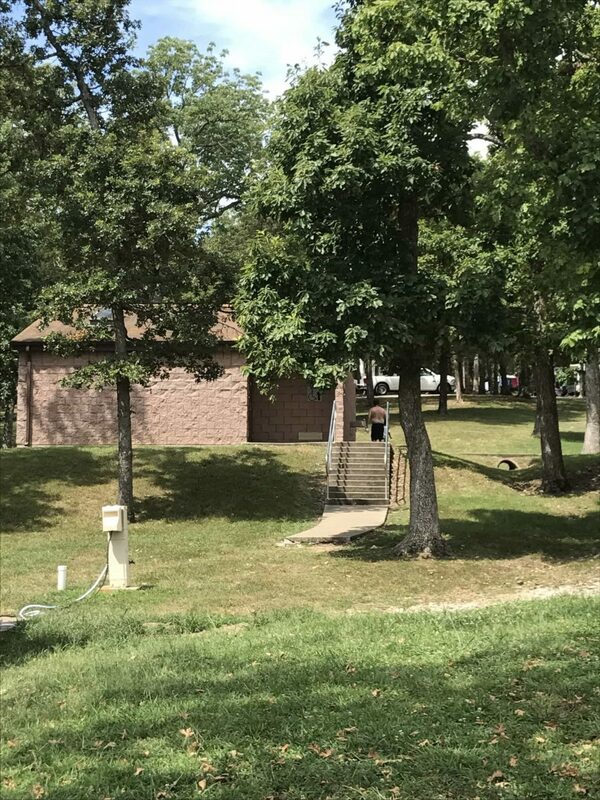 A playground and picnic shelter are near the swimming area. The picnic shelter has a grill. 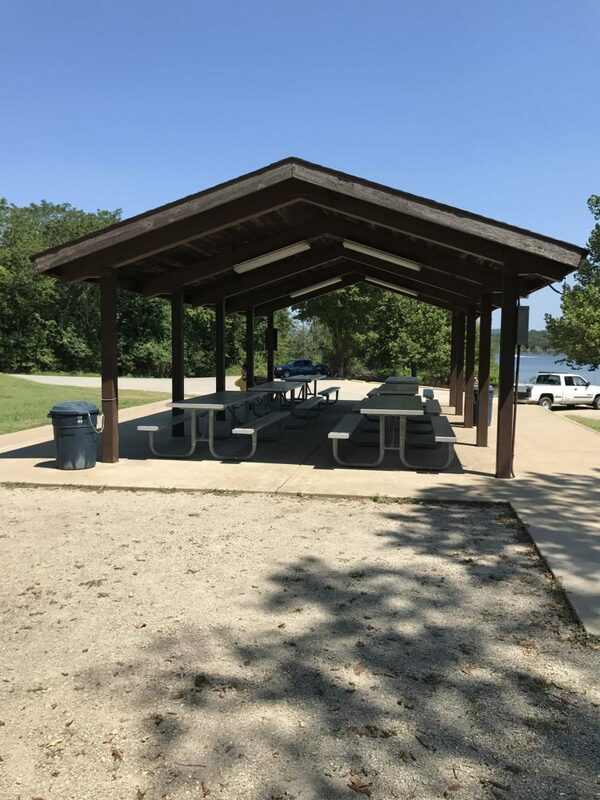 If you don’t want to use the shelter, there are also picnic tables near the lake. If you would like to visit just for the day, you can pay $5 to swim and picnic. If a picnic is not your style, you can eat at the Port Grill. It’s right on the water! Of course, we decided to roast hot dogs on sticks. We also roasted marshmallows for dessert. Oh, the lake life! 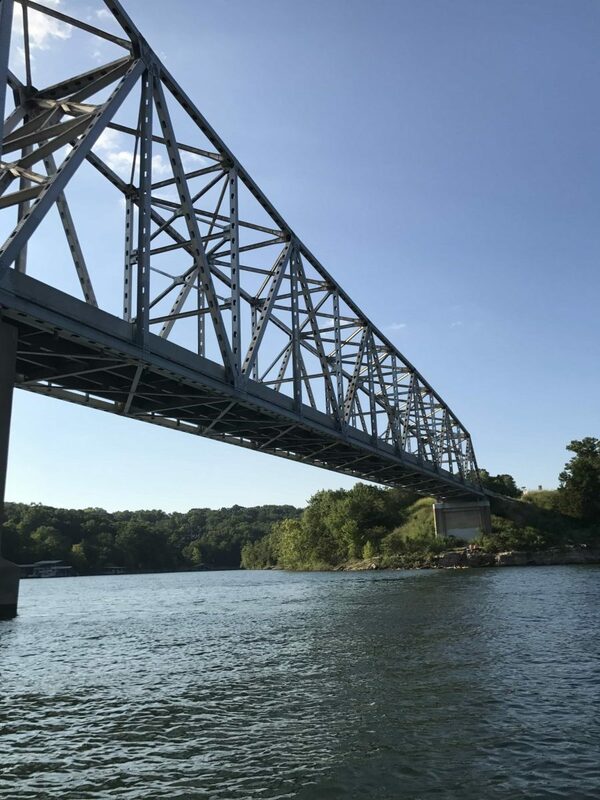 A fun thing to do at Shell Knob when you are boating is to go under the Shell Knob Bridge. Some people swim underneath it at the shore. If you’ve been boating all day, you may want to pull your boat up to the Pizza Hut near the bridge. 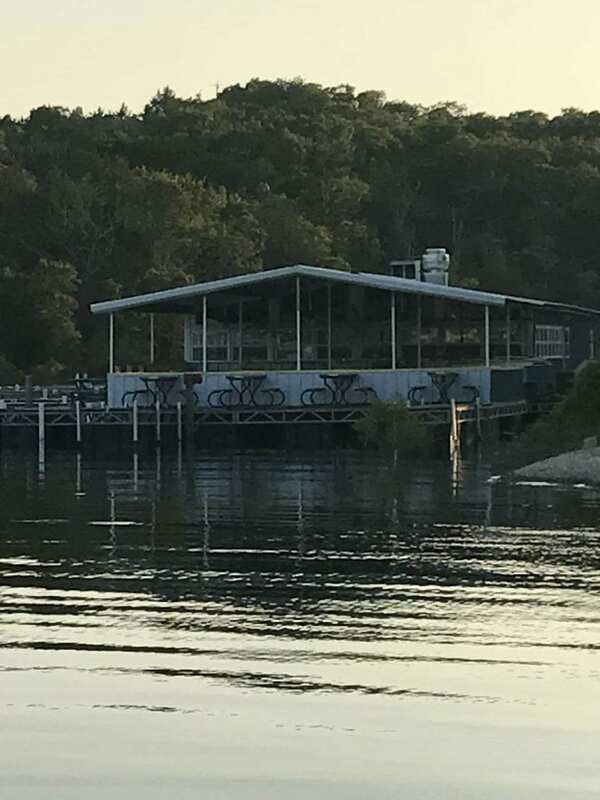 Pizza Hut provides a little dock for your boat, and then you can walk up the hill to the restaurant. You can also drive your car, of course. 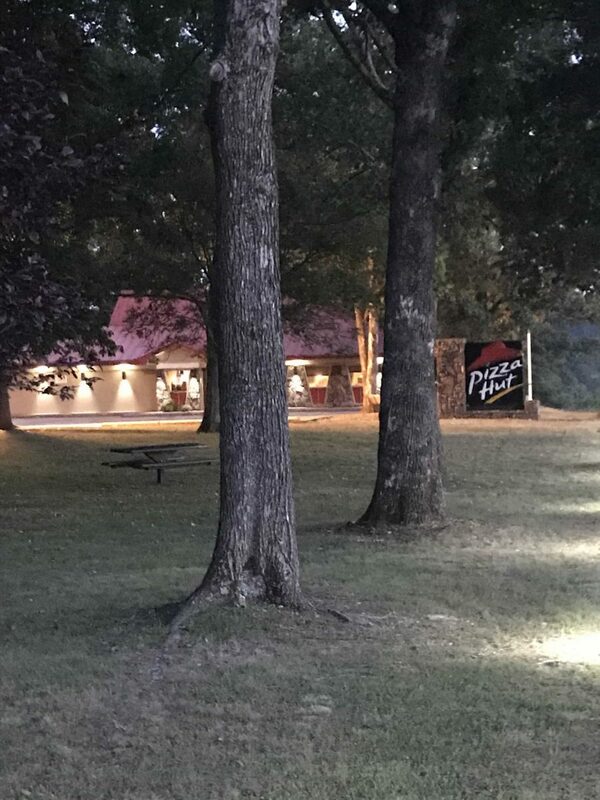 Pizza Hut at the Lake looks pretty at dusk. One of the best times of day at the lake is sunset. One evening, I crossed the bridge and watched the boaters come ashore at the public boat ramp. Slowly the sun went down, and the lake became even more beautiful. It was dark before I returned to the camper. 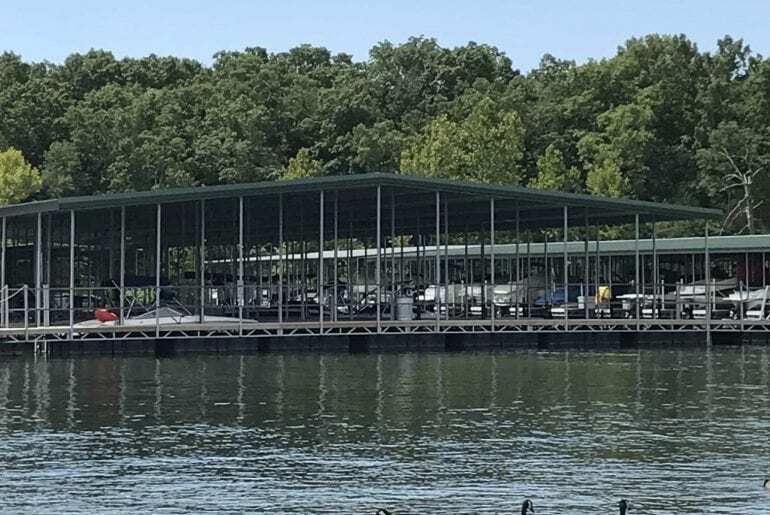 One thing you should realize is that Table Rock Lake is a huge lake. 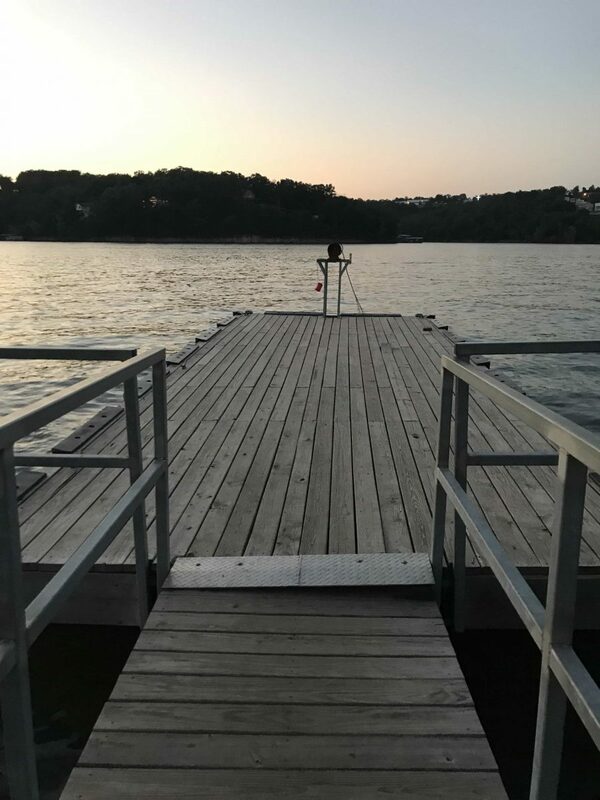 If you are planning a trip to Branson, you can certainly have lake access there. Branson is about an hour’s drive from Campbell Point. 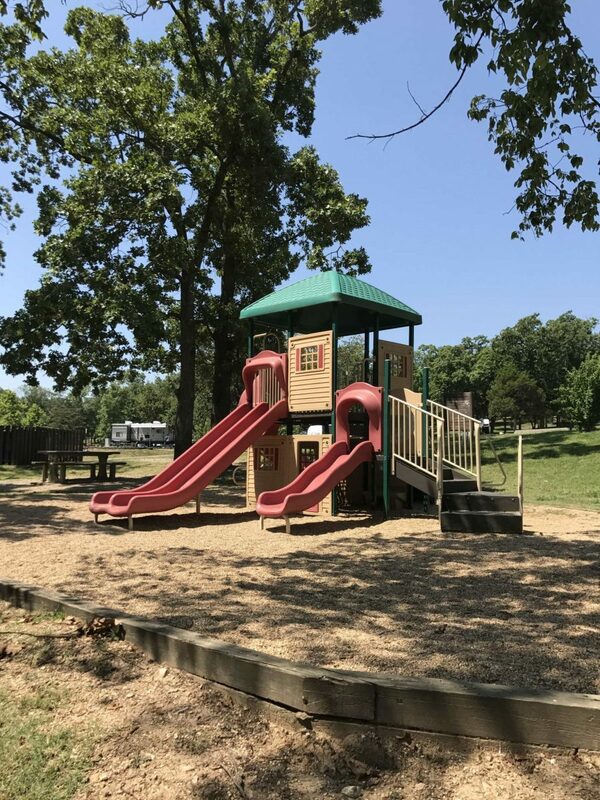 You could definitely camp here and do some activities in Branson, or you could stay in Branson and experience Table Rock Lake. 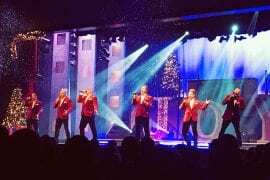 The road to Branson is full of hills and curves, but it isn’t too difficult to navigate. But it is the Ozarks. We had such a wonderful stay, and I’m glad Kristin got to make more memories with her grandparents. 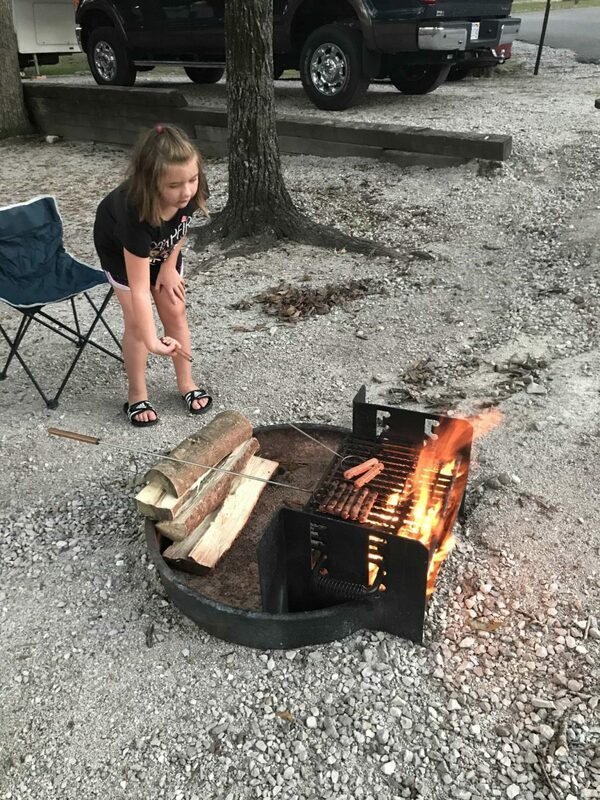 If you are looking for a beautiful place to camp and relax with your family, then Campbell Point is the perfect place. Shell Knob is a smaller community, but I think it’s charming. It’s a typical lake town, but I love coming here at least once a year. 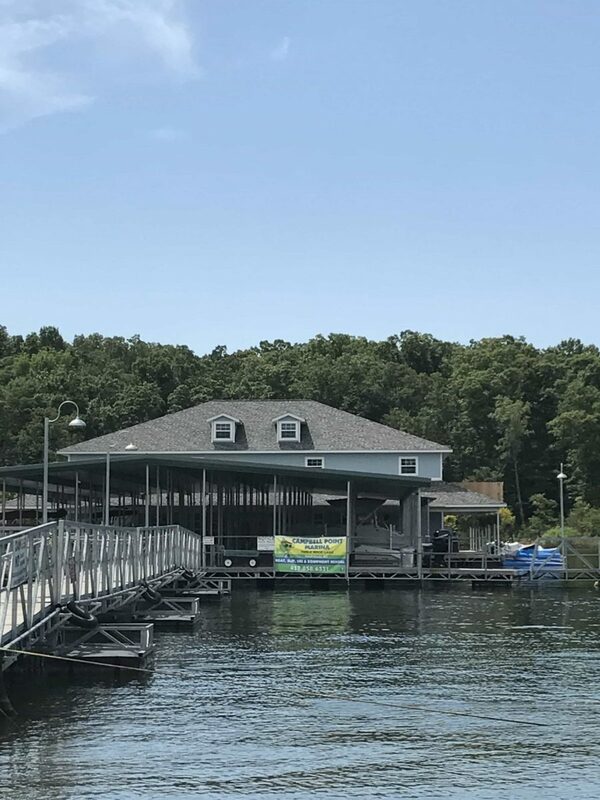 You and your family will have a great time at Campbell Point on Table Rock Lake! 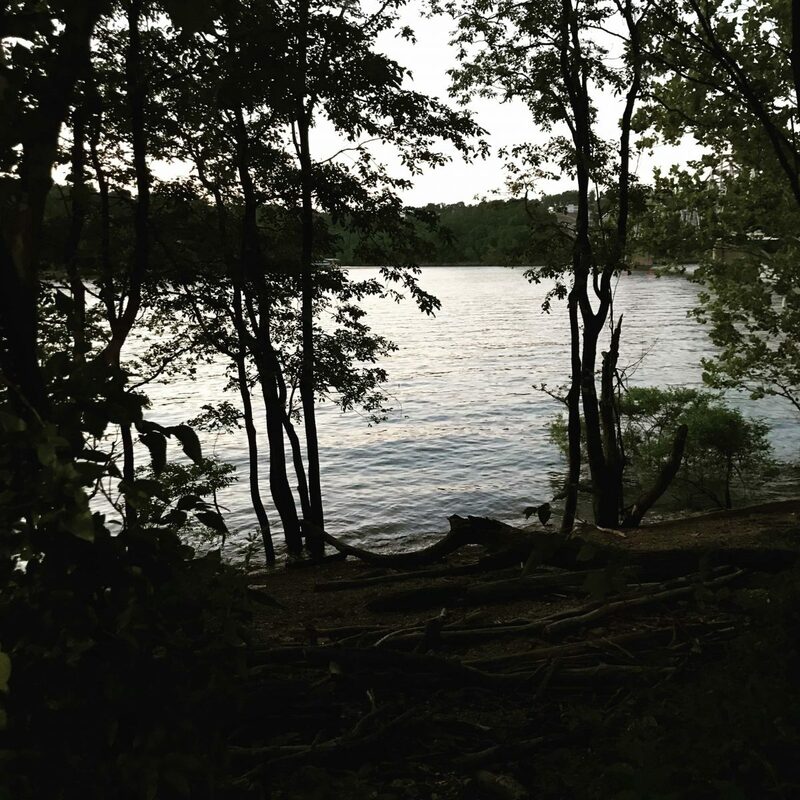 To read more helpful tips on camping, check out this camping guide by Rachel at Hobby Help. Click here! It sounds like you all had a great time! I love hitting the lake with my friends, and sister. We usually tube, jet ski, and/or wakeboard. I am so bad at wakeboarding, it’s actually hilarious! I’ve never tried water skiing before; maybe I’ll be better at that! 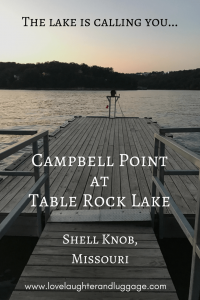 If I’m ever up in Missouri, I’ll have to look up Campbell Point, and I feel like I need to go since I went to Campbell University 🙂 The Campbells have to stick together!! I haven’t tried wakeboarding, but I don’t think I would be very good at it. I think skiing would be easier. I water ski, but not for very long because I get too tired. If you like going to the lake, you would like Campbell Point. And that’s cool that you went to Campbell University! Campbell Point sounds like it has something for all ages! 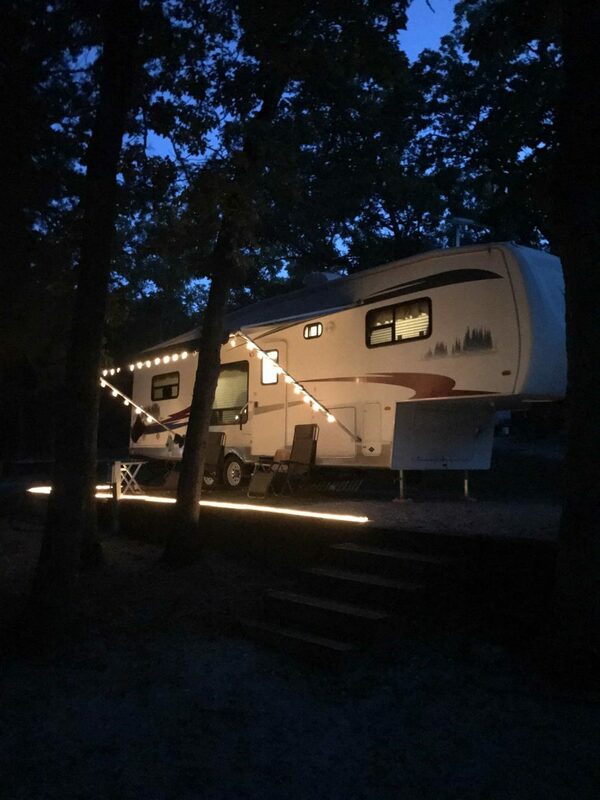 Your camper looks so cute with the lights outside and it’s so nice to hear that you toast marshmallows – you’re definitely getting the authentic camping experience! 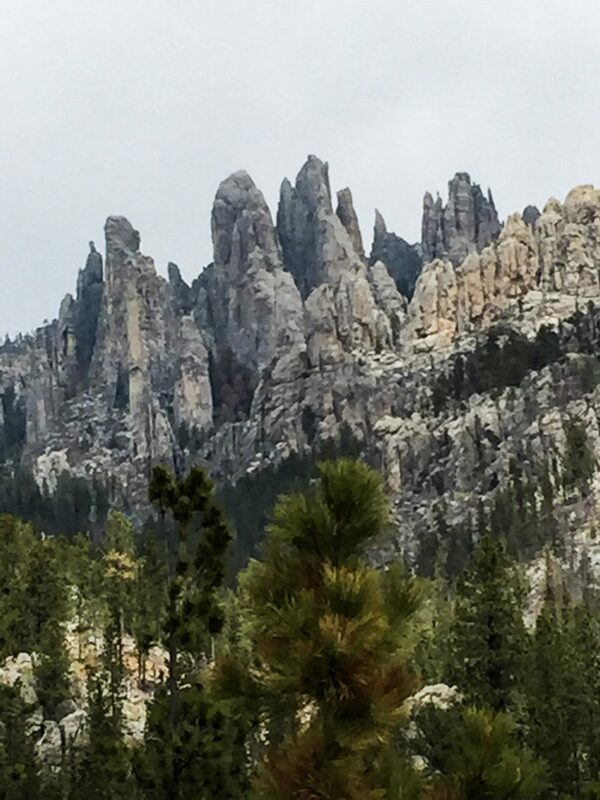 It really is a great place to camp! It’s true, we can’t go camping without the marshmallows! That looks like a lot of fun! And really pretty too. I’m not a camping person, but I wouldn’t mind spending a day there. It’s a fun place to picnic and swim even if you don’t want to camp. What a fun place to camp. I would love to visit this camp sometime! 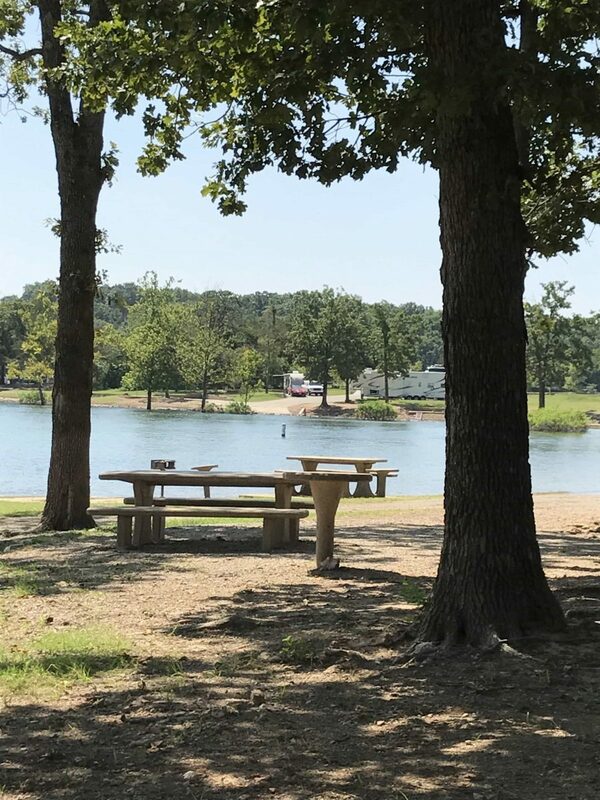 It is a nice campground, and the Ozarks are absolutely beautiful. I’m with your daughter and love camping too. This looks like a beautiful and peaceful place to set up camp and so well organised. There’s nothing as structured as that here, I was surprised to see a pizza hut with a mooring. It is really is a lovely place to camp. It’s not really roughing it, but we are closer to nature! I agree! It’s great to get away for a few days! This place looks like an amazing picnic spot for all ages. I hope you do! Camping in the camper is a lot of fun! Yes, we go to Campbell Point at least once per year. I agree; it’s a really relaxing place! The little one is a cute little baby and I am sure she enjoyed her trip with you. With grandparents around, this trip would have become a memorable one for your child. When she grows up, then these memories will make her a better person, I hope. I agree! It’s so important to make memories with your family! This place looks awesome. I always wanted to try living near the lake but was not able to do so yet. Now seeing your experience will definitely have one this year. That’s great! We love our lake time!